Both companies needed to appear to have a similar brand because they are owned by the same person. So, when it came to designing a website for these businesses, we had to ensure the appearance followed the same rules. 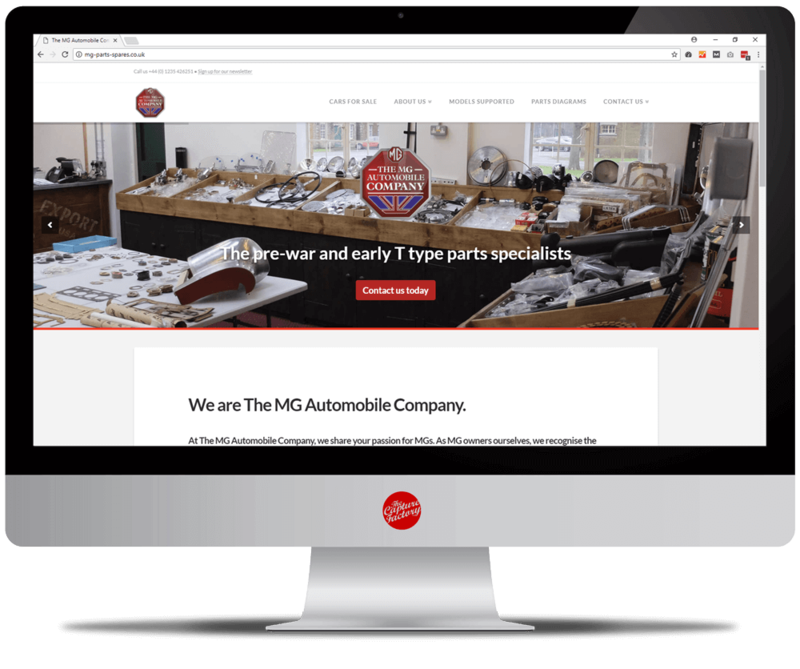 We used WordPress to develop their websites on. The easy CMS empowers the owners to take control of their website and content. Currently the websites are not E-commerce, however we are discussing the possibility of selling their parts online. The Capture Factory set up Microsoft Office 365 for both businesses. The system removed the need to have an onsite email server. Using this configuration has given them enterprise grade email which was important for both companies as they have members of staff located all over the globe. 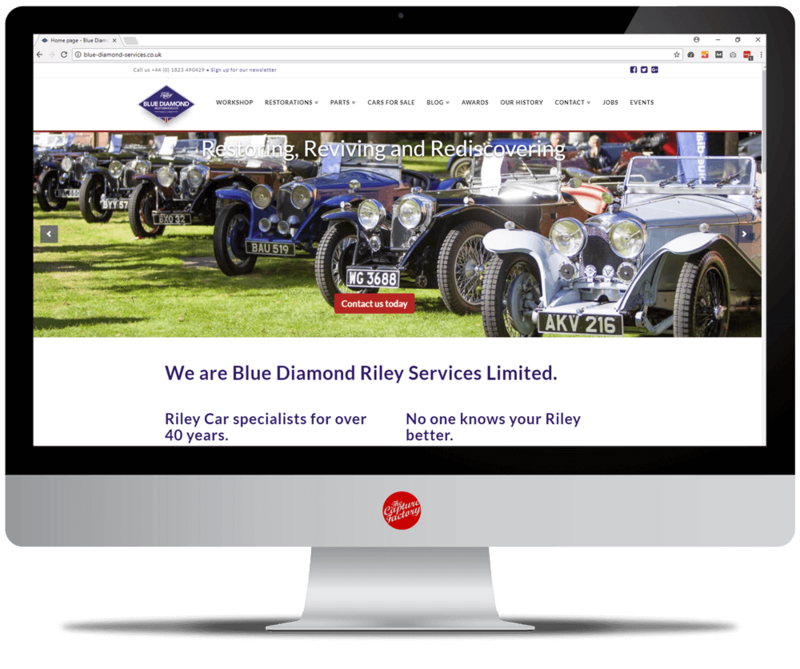 Office 365 gives cloud storage which was incredibly helpful when Blue Diamond Riley Services relocated from Somerset to Bicester Heritage. We first created Blue Diamond Riley Services logo back in 2015. The businesses needed a recognisable brand that reflected their values and beliefs. Our designer came up with the idea of replicating a car emblem to create a sense of officiality and echo the heritage of vintage cars. The label needed to appeal to Riley owners so a diamond was used to keep the traditional branding. The main aim was to follow and create lineage. Although the design stuck to the historical background of auto motors, The Capture Factory developed a modern, clean and contemporary aspect to the graphic. 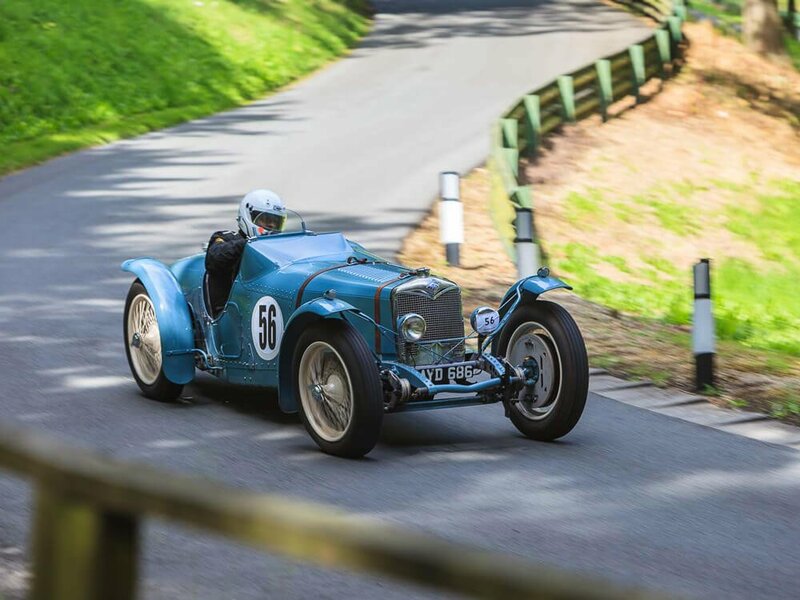 A suggestion of the British flag has also been included to echo motor industry history. When Blue Diamond bought Barry Walker they created The MG Automobile Company. For this logo, we decided to follow the same formula used when creating the Blue Diamond Riley Services logo. The shape was adopted from the traditional MG badge, as were the colours. Again, the British flag was included and the overall design was made to look like a car badge. Both logos have multiple different versions available including: embroidery, black & white, 4 colour and single colour.